So said Han Solo in Return of the Jedi. The answer to Han's question is that Boba Fett is everywhere. 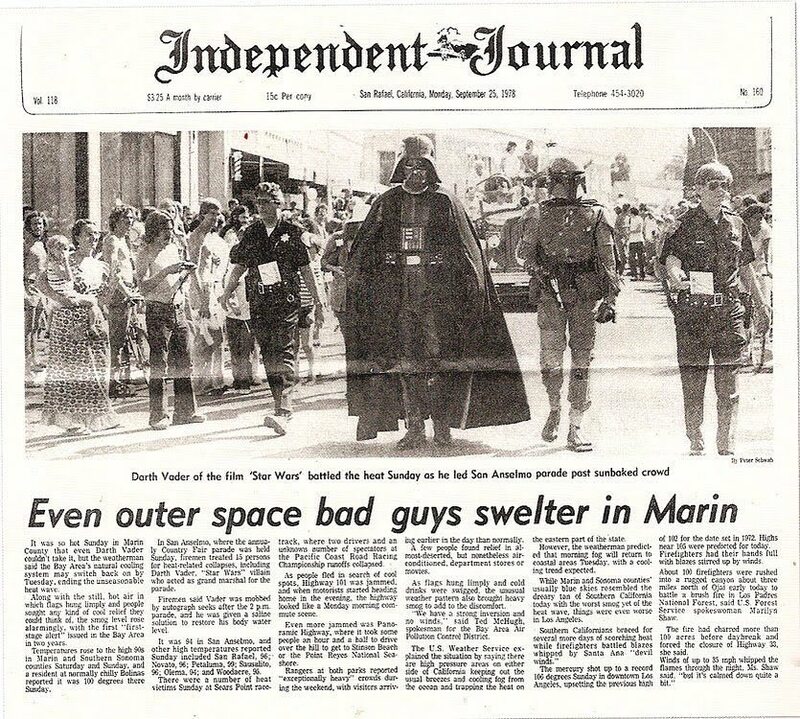 From a small part in The Empire Strikes Back as a masked bounty hunter, Boba Fett's infamy and stature have grown throughout the Star Wars fandom, so much so his legend outshines characters who had more screen time! We're pretty confident that Fett's popularity is due to one thing. There's something brutal and foreboding about it. You only have to take one look at him to know he means business and is not a being to be tangled with. The armour is commonly known as Mandalorian armour, named for the humans that wore it on the planet Mandalore. There's a sense of Clint Eastward's Man With No Name about him. Perhaps a touch of Judge Dredd? Either way, Fett has developed a lot of history in the 30 years since Darth Vader warned him about no more disintegrations. While the character's helment gives him a 360 view, in reality the actor who played Fett, Jeremy Bulloch could hardly see from under the helmet while filming! Boba's face has never been shown. Paging Judge Dredd! 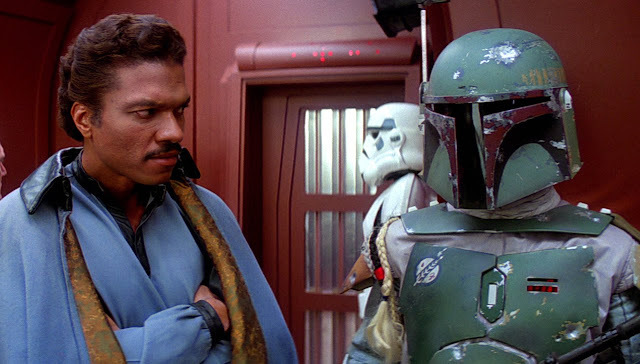 Legend has it that George Lucas was considering making Fett have a bigger role as an antagonist in Return of the Jedi however things obviously played out differently in the end! 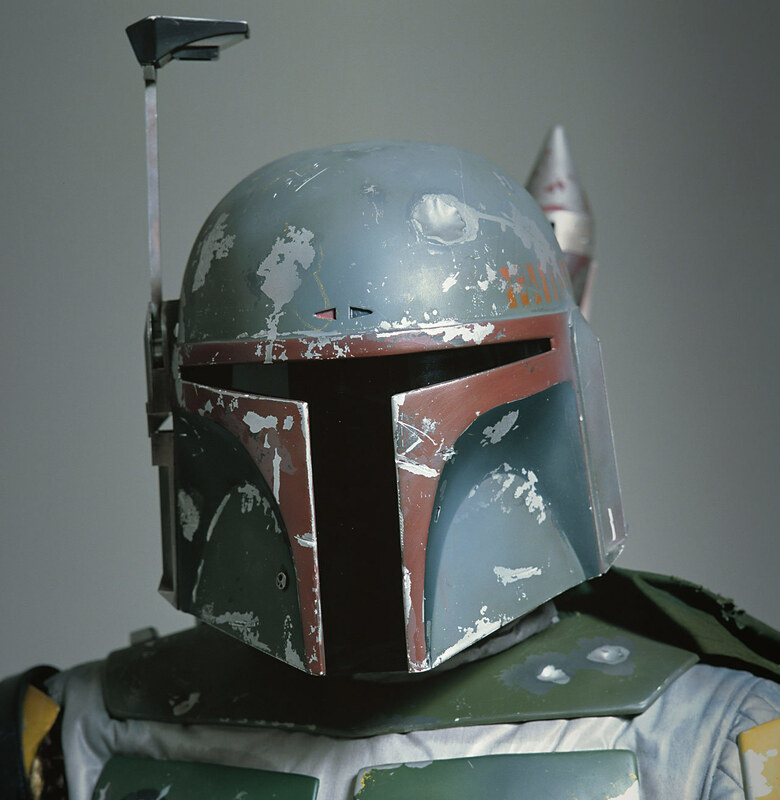 The iconic design of Boba Fett's armor is widely credited to Joe Johnston, who worked as a concept artist on Empire Strikes Back and Return of the Jedi. You might recognise Johnston as the director of Captain America: The First Avenger. Fett's famous braid is apparently made of the scalps of Wookie. No one knows the real reason his helmet has a round bump on the top! Captain Phasma wears a black cape with red trim, the colours of the First Order. Given that Phasma was inspired by the Boba Fett character it's no surprise she has a cape as the original idea for Fett was to have him wear a cape / poncho in the style of The Man with no Name from Clint Eastward's Spaghetti Westerns. 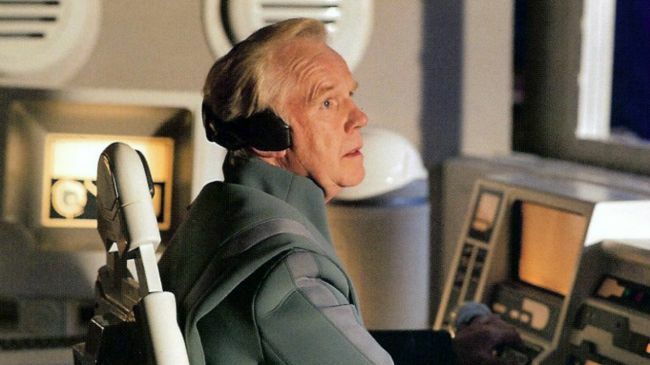 After an extra fell sick during the filming of TESB, Jeremy Bulloch was called in as a replacement to the Imperial Guard who escorts Princess Leia and pulls her into the elevator after she screams "Luke! It's a trap!". As a side note - this is, of course, the same line Admiral Ackbar says in The Return of the Jedi. That means Bulloch has had three parts in the Star Wars films across three movies. Jason Wingreen was the uncredited voice of Boba Fett and claims he was never paid for his work by George Lucas. Temuera Morrison played father of Boba, Jango Fett in Attack of the Clones. He's the dude who bought a gun to a lightsaber fight with Mace Windu! To be fair, Jango's Jet Pack misfired meaning he had no chance of defending himself by escaping Mace's purple power pulping device! Boba Fett was added to A New Hope Special Edition by George Lucas. He appeared in the scene in which Jabba the Hutt was added. When the DVD of the Empire Strikes Back was released in 2004, Temuera Morrison re-did the voice for the character to add a new consistency given he was Jango Fett and Boba was his clone - stands to reason they would have the same voice. leased in 2004, Tem Morrison re-did the voice for the character to add a new consistency given he was Jango Fett and Boba was his clone - stands to reason they would have the same voice. Five different people have played Fett in the movies, six if you count Morrison doing the TESB voice over. 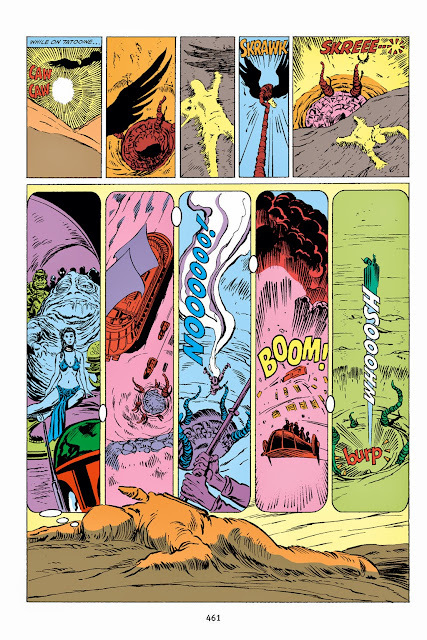 Did Boba Fett survive the Sarlacc Pit in Jedi? 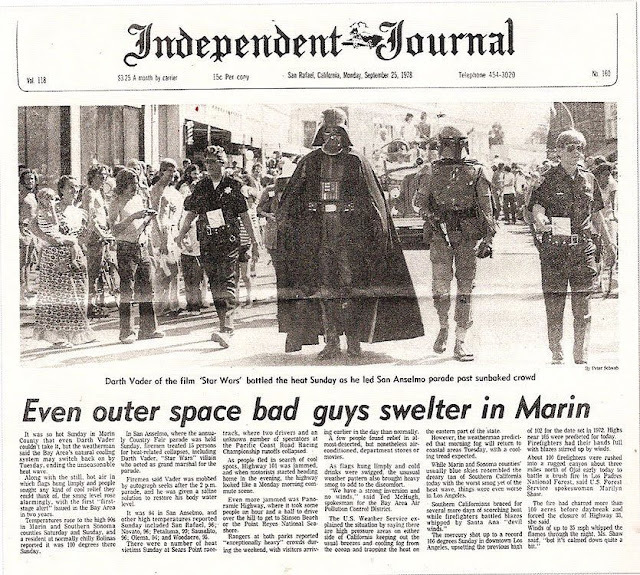 By the time Return of the Jedi rolled around, Boba Fett has gained some intense popularity with the fans. Now bear in mind that the era of moviemaking magic was in the early 1980s where there was no internet so the only 'chatter' about the character was in Fanzines. So when Lucas offed what appeared to be a badass character in such an ignominious fashion he was surprised at the mild backlash it created. 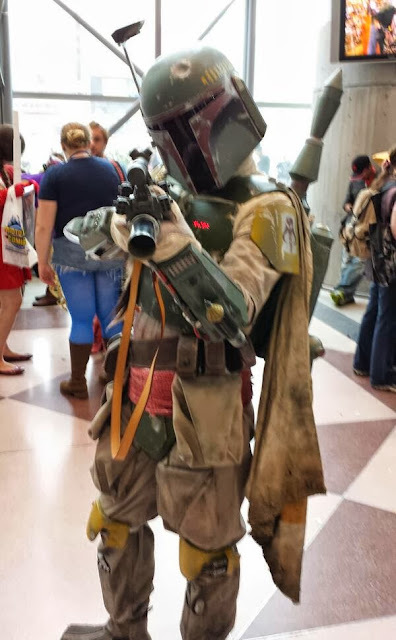 The question then became, given he was fully armored, did Fett survive his fall into the Sarlac Pitt or was he slowly digested over a thousand years? "Yes, he does. I have been in meetings with George where he confirms that Fett survived. If it comes from George then it’s true!" So in this cartoon version of the story, Fett survives by boosting it out of the Sarlac Pitt by using his jet pack armour. There's also the short story called The Last One Standing: The Tale of Boba Fett by Daniel Keys Moran which is found in the collection 'Tales of the Bounty Hunters'. It used to even be canon before the changes came into effect when The Force Awakens was released. 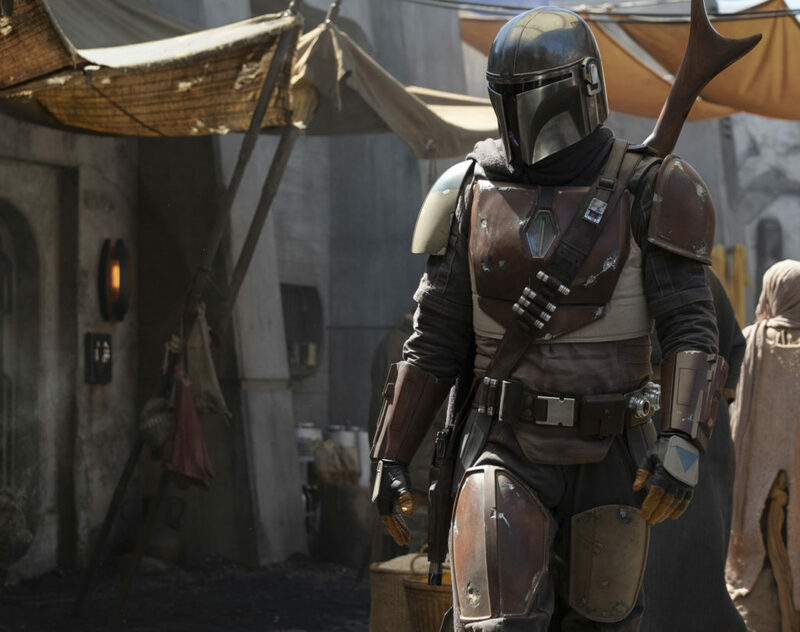 Did you spot the Mandalorian Armour in Solo? So tell us about Jango Fett and Boba in Attack of the Clones? Remember that Storm Trooper that bumped his head on the Death Star in A New Hope? That unplanned goof by the actor (unknown?) became the stuff of legend among Star Wars fans so much so that when Lucas decided Jango Fett was to be the 'father' of the Clone Army, this 'bump' was called back as an actual character trait of Jango. During Attack of the Clones, when the Mandalorian Jango Fett gets into his ship after his tete a tete with Obi-Wan, he bangs his head on the open door. 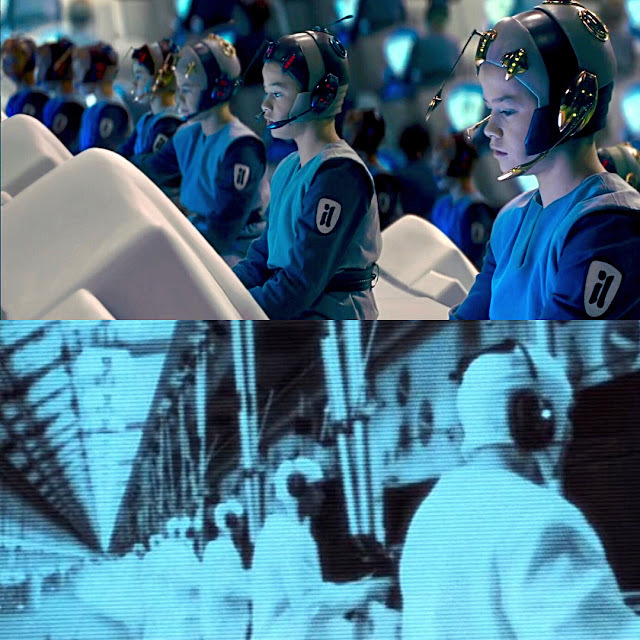 Speaking of Boba Fett being a clone... the Attack of the Clones has some interest parallels to George Luca's first movie, THX-1138. That first gained a cult like status as it explored themes of loss of humanity and denial the of self and bureaucratic systems that control a population and manipulation of free will. 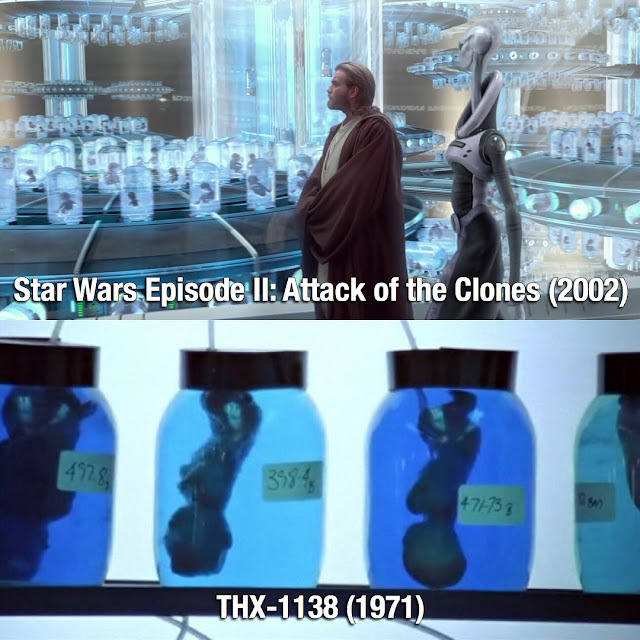 The production system used in THX-1138 appears to have been used as inspiration for what Kenobi is exposed to in the Clones movie. Sure it's at a grander scale but the concept is the same. In THX, the embryo is simply referred to as a designated name, the same manner as the clone Storm Troopers are. Here's some Fett clones at their learning centers, being taught warefare. For the first time ever, live action television is coming to Star Wars. After years of many cartoon series, Disney is bringing in the big guns to make The Mandalorian. 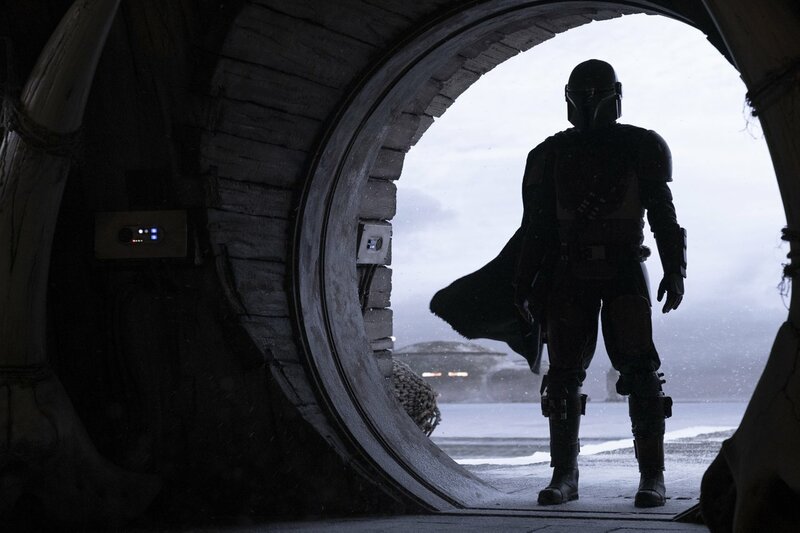 It will feature the title character 'on the job' seven years after the Return of the Jedi, the show will feature a Mandalorian who will do the business of a 'lone gunfighter in the outer reaches of the galaxy far from the authority of the New Republic...'. Iron Man director Jon Favreau is writing and producing. 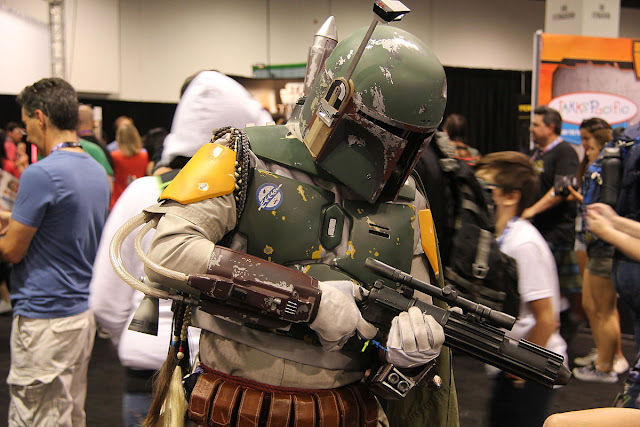 Given the popularity of Boba Fett, it's no surprise that there are a few keen Star Wars cosplayers that are keen on a bit of Fett dress up. 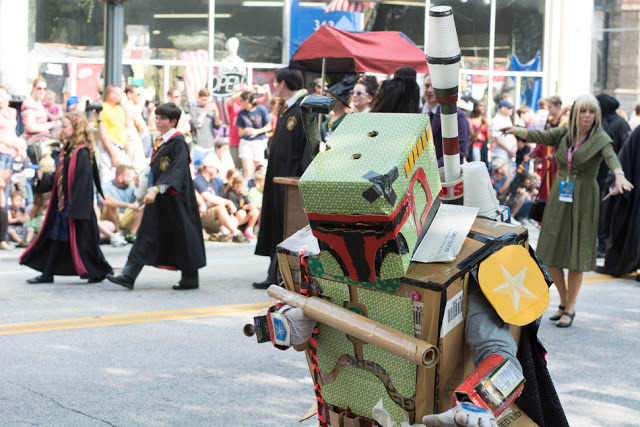 First up, we have a guy dressed in cardboard boxes, because why not? 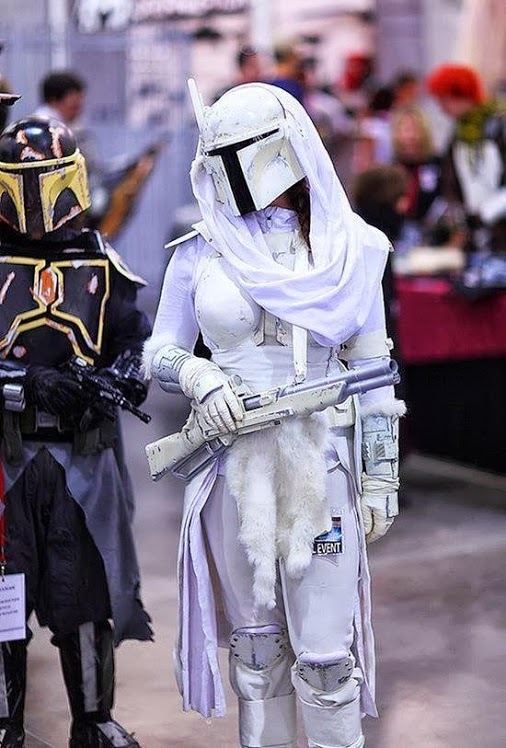 Now, who's excited for The Mandalorian, the new live action show featuring Mandalore?